a: Singles: News-Editorial: Award-Winning Evansville Photographer: Molly Bartels specializing in editorial, wedding and art photography in Evansville, Indiana. 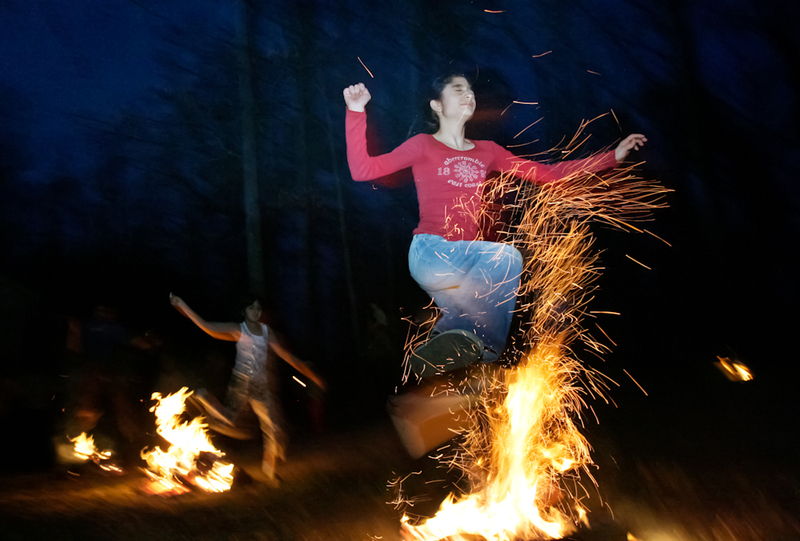 Gloria Emrani, 13, right, and Aida Emamghorashi, 8, left, leap over four consecutive fires during a celebration of the Persian New Year, or Norooz, in Greensboro on Tuesday, March 13, 2007. Jumping over the fire is supposed to cleanse the jumper so that they can start the New Year with a purified mind, body, and soul.